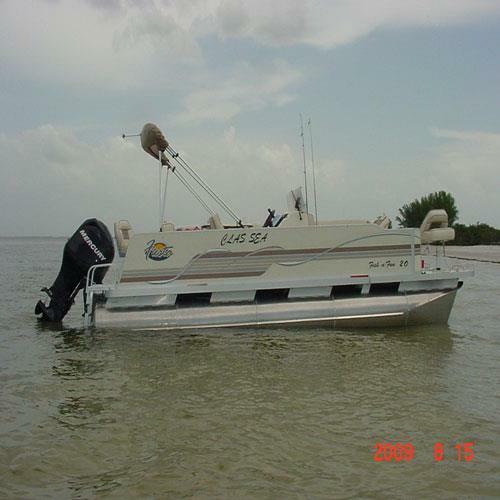 On my days off you´ll probably find me on the Clas Sea (photo above) enjoying the beautiful beaches and fishing around St Joseph Sound and the Anclote River. Ever since I was able to travel I always went to the water. I was born and raised in Dutchess County, NY and every weekend found myself in Cape Cod, MA. After college, I majored in Business Management, I then moved to San Diego, CA where I first got into the Real Estate Market as an apartment manager. I added Accounting to my degree which comes in very handy for managing investment properties and to this day it includes 1 -20 unit apartment complex, and over 90 residential units including single family homes from Hudson to Seminole. I moved to Pinellas County, FL in the early 90´s and continued in the Real Estate market. What a difference it is here than California but I just love the natural wildlife and the warm water that Florida provides. Moving to Florida has been the best move I've ever made and It'll be the best move you'll ever make choosing me as your Realtor. I have also enjoyed raising orphan kittens and now have 5 cats of my own. I enjoy my work very much and put my clients first in their needs and wants. This is Spaz and he surely lives up to his name! I enjoy football and of course NASCAR racing. Jimmie Johnson car 48 is my favorite driver and the Coke 400 is my favorite race of the year. With property values on the rise, real estate has always been a sound investment for now and for the future. I have closed over 20 sales in the last 2 years on just VA buyers alone and consider myself an expert.